Researchers simulate alien lakes to learn how difficult they’d be to explore. The most exotic world in our solar system is Saturn’s moon Titan, with its hydrocarbon lakes and an atmosphere consisting of nitrogen and methane. Even more astounding, it rains methane in occasional monsoon-like downpours on the moon’s frozen surface, where temperatures drop to -150oC. For some time now, scientists have thought Titan may be a cradle of life, because it seems to contain all the necessary ingredients. This is especially true at the bottom of its lakes and seas, where heated hydrothermal water is thought to be in direct contact with a frigid nitrogen-rich hydrocarbon mixture. How could we ever explore such a place? In a submarine, of course. The first step in making that technology a reality has now been taken by Ian Richardson and his colleagues from Washington State University, working with NASA. They recreated the pressure and temperature conditions of Titan’s seas of ethane and methane in their cryogenic laboratory to see how a submersible vehicle might fare in such a hostile environment. The tests showed some of the challenges a Titan submarine will face, such as the creation of nitrogen bubbles due to heat produced by the vehicle’s nuclear power source. The nitrogen bubbles could interfere with the submarine’s sonar imager and other science instruments, or even worse, could affect the propeller. Engineers will have to take these factors into account when they design a Titan submersible. These kinds of investigations are so much more challenging than, for example, simulating surface conditions on Mars. But research like this is sorely needed if we want to explore more exotic environments in the solar system. If life is present on Titan, it likely had a separate origin than terrestrial life, because environmental conditions there are so different. This prospect of a separate genesis is yet another good reason to investigate Titan. 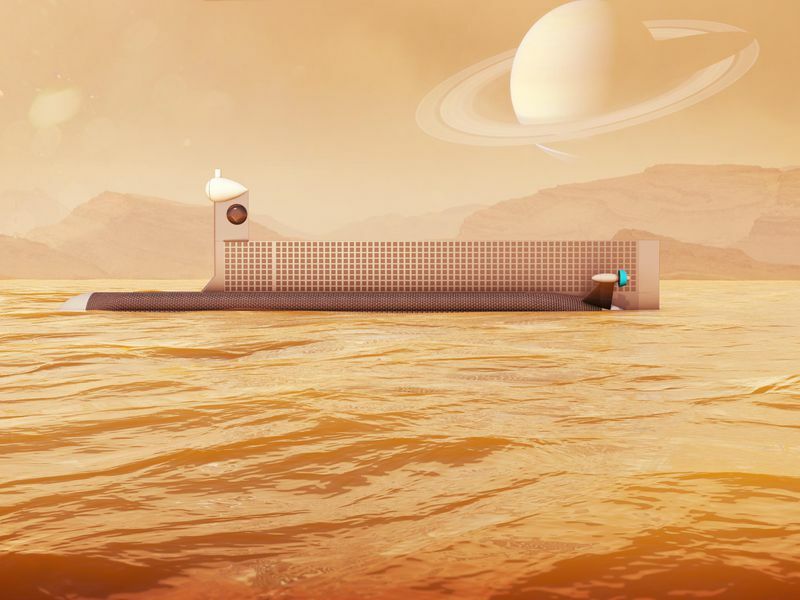 And we’ll have to make sure we’ve got a working submarine when the time comes to check out the most promising places for life on Titan.